Based in Seattle, WA, Outdoor Research designs and manufactures functional solutions for human powered adventure with a product line of technically innovative and superior Apparel, Headwear, Handwear, Gaiters, Storage and Shelter Systems. 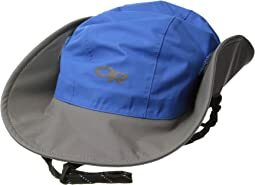 Product testing and high-quality construction is backed by Outdoor Research's Infinite Guarantee. A company with deep roots in human powered adventure, Outdoor Research got its start in the garage of a dedicated mountaineer/physicist-turned-gear developer after faulty gaiters thwarted an attempt at summiting Denali. Experience spawned inspiration, and a revolutionary new gaiter solution was born. Nearly 30 years later, Outdoor Research continues its long tradition of creative innovation by carefully listening to the requests and feedback of its customers, ambassadors and employees, all who push boundaries within their sport. Outdoor Research enthusiastically supports the outstanding conservation, access and educational efforts of a variety of organizations. Through stewardship and education, the wild lands that provide a playground of adventure for hikers, skiers, climbers, alpinists, paddlers, runners, and backpackers will be pristine and accessible for generations to come. I ordered a size L, and on the tag, it said for toddler size 3-4 years old. However these were HUGE on my 3 year old. It was so big that it even fit my hands and my hands are not tiny. He was not able to wear them in the snow because of the sizing that was off and ended up taking them off. Bummed about the sizing but will keep them until He can eventually grow into them. My daughter loves them. Keeps her hands warm and she can keep them on while doing the monkey bars in the playground. It’s a win for us both! Runs large. I got the small for my 7 year old and it is plenty big. I originally ordered the med/large and it fit my head and was way too big for him. Love this style hat for kids though because it keeps their ears covered. Not super thick but warm. Cute and warm! I couldn’t tell from The information online what size gloves these were (Sm, Med, Lg for kids gloves doesn’t universally equate to a clothing or traditional glove size like adult sizes), so I ordered two sizes. My 9 year old daughter is on the short side for her age, but her hands aren’t particularly small, and size Medium was good. The Small packaging says “ages 5-8”, Medium says “ages 9-11”, and I’m guessing large must be “ages 12-14” since after that, or even then, you’d be in the smaller adult sizes. The grips on the palm and fingers are good for playing outside and still being able to manage normally. She’s worn them on days as cold as 28 degrees and they’re good. I'm a petite female adult apparently with child-sized hands...or at least child-length fingers. 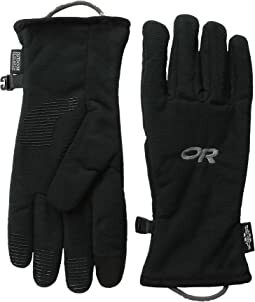 I ordered several gloves in ladies small and kids large and these were about the only ones that the fingers of the gloves didn't extend too far beyond the tips of my fingers. 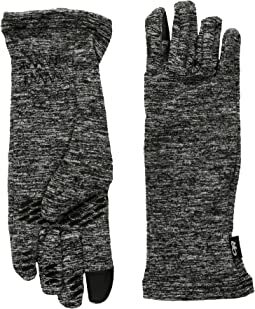 I'm looking forward to finally having warm hands this winter thanks to these!! 11 year old son is very pleased with the fit and warmth. Great hat for a little researchers. Great hat! My son is sensitive to sunlight. I bought this hat for him after scouring reviews and details of similar products. This one was the best I could find with the highest UV protection. It’s held up very well after a lot of use. It still looks new. I have an adult version and it’s also well made. I am coming here to write a review after having these gloves for my toddler for two seasons. They are the best gloves for my now 3 year old and I have nothing but praise to give this company. My son played outside in a foot of snow this afternoon with a temp around 30F. I made him come inside after an hour because I was worried he would freeze and when I took his gloves off his hands were toasty warm! He wore nothing under them and the zipper makes them simple to put on. 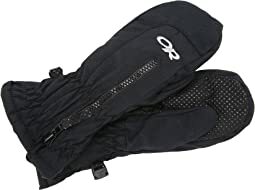 I have a pair of OR ice climbing gloves and they are also the best I have ever worn which is why I sprung for these bad boys for my son. He has worn them many times and they will definitely be able to be passed down to our youngest. I recommend them to everyone who is looking for warm/easy to put on and durable mittens for their toddlers! Fantastic sun hat. 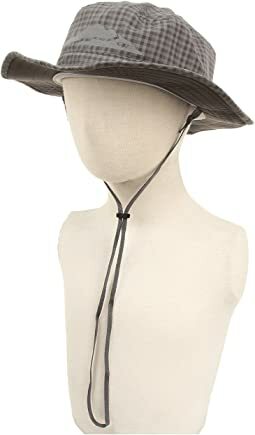 We live in Bermuda and I wanted a heavy duty sun hat for my 5 yr old boy twins to wear at school and at home as they spend a lot of time outdoors. 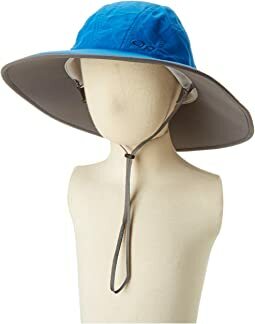 After 2 years of searching and getting poor quality or not enough protection or too floppy or too tight or too loose hats, I’ve finally found the right one for my kids. 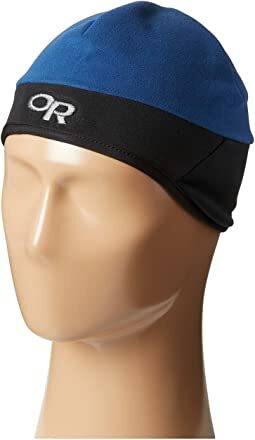 This hat is easily washable, absorbs sweat, not too floppy so doesn’t get in the kids vision line, has a chin loop to keep the hat in place on windy days, is spf 50 and is very durable. We have been using the hats everyday for the last 6 months and they are still going strong. 5 stars and I just got 4 more in diff colors for home and spares. 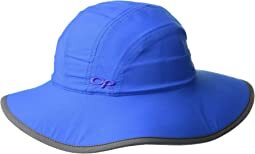 This is a great, simple hat for sun protection. I like the chin strap and the feature that adjusts the size to fit more tightly around the child's head. Fits my 3 year old with a larger than average size head well. Lightweight and nice looking. 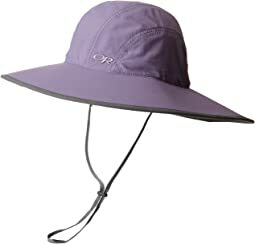 Absolutely the best sun hat for kids! 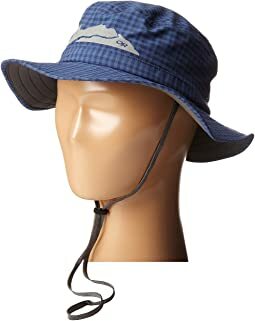 My son had one in a smaller size and wore it almost everyday - to the park, on hikes, while going fishing. When he outgrew his last hat I purchased the exact same one, but a size larger. It shades his neck and ears and face and is the best sun hat ever! Easy to get on and off a must for kiddos! I would highly recommend! Excellent gloves for toddlers! Easy to put on and they come up higher on the wrist and arm, so they stay on great! I highly recommend these! I ordered these for my son and they are Great! Love these mittens - they are so easy to take on and off and keep my toddler's hands warm and dry. Also love the grips for staying safe on the playground in winter. Wonderful hat. I bought this hat for my 7 year old son for. Our beach vacation. It fit perfect! He was even able to wear it while riding his boogie board in the ocean. It rinsed off with cold water and dried quickly. Got this last year for my very fair-skinned 6yo (who is now 7). It fits great, and we love the strap for windy beaches. It dries quickly as he often wears it into the water. 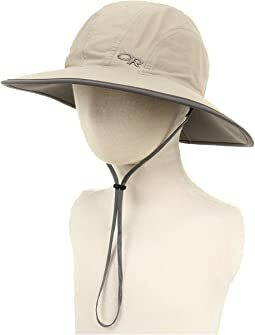 The brims are large enough to prevent his face, ears, or neck from burning so I don't have to continuously lather him with sunscreen! This hat is nice, but huge. It is large on my 9 year old who is an average sized child. Very light weight, good color. Purchased the 6yr-12yr size and it fits my big 6 year old (he wears size 8 usually) great with some room to grow. There is a pull tab/cincher type thingy on the back of the hat that makes it fully adjustable for a snug fit. If you pull that too small though it makes the rim of the hat buckle, but if you pull it just a bit for a better fit it's fine, so don't order a size up planning to since it in. Also super light weight and breathable. My 6 year old gets very hot and usually complains that hats make him sweaty but this time he didn't say anything. I have a really have a hard time finding hats to fit, so I tend to look at kids hats. This one is just the right size depth for my head & it's a fun color. Zappos makes it easy.